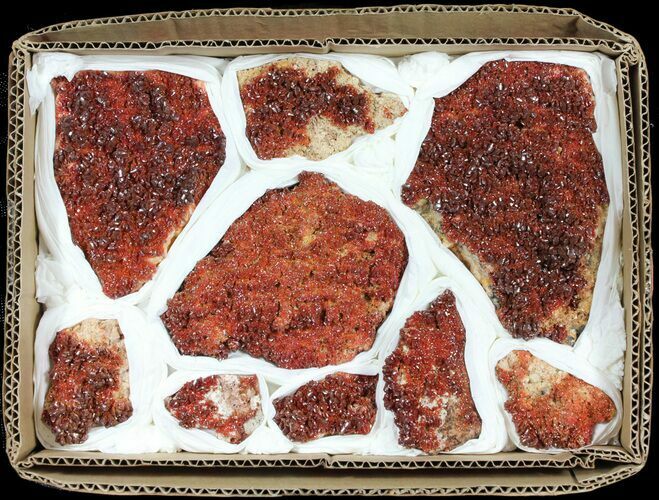 This is a wholesale flat of natural vanadinite on matrix, from Morocco. 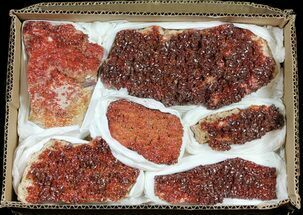 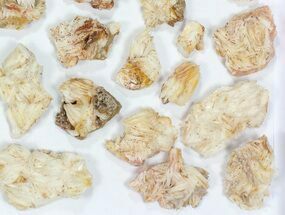 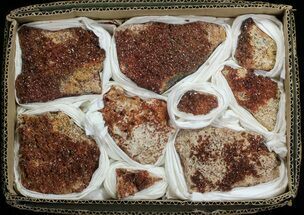 You will receive 6.5 lbs of vanadinite coated matrix (most of which is barite) specimens, all 9 of which are pictured above. 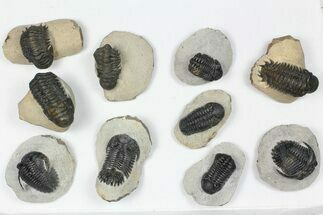 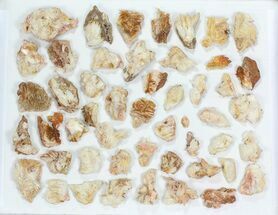 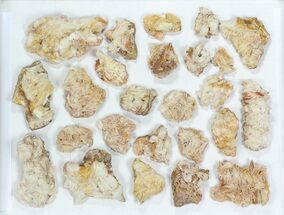 The specimens in this flat range from approximately 1.9" to 6" wide.